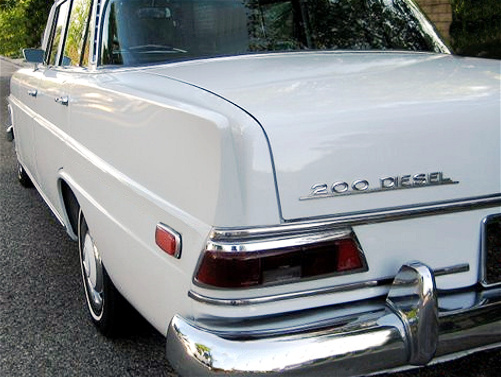 There was nothing fancy about the Mercedes 190 Diesel and its successor the 200 Diesel. Half of them were either black or beige and had taxi signs on their roofs and the other half were owned by farmers, butchers, bakers etc. All of them were grossly misused, almost never serviced and had the right taillight blackened from heavy smoke pouring out of the exhaust under full load. When it was early winter morning, the time it took to start the engine was sufficient to brew yourself a cup of coffee. And once the engine ran, you woke up half the neighborhood. That was the general, albeit somewhat simplified opinion of a large percentage of the population in the 1970s of an old Mercedes diesel. On a more positive note, they were so well built that they were regarded as utterly, even boringly dependable. They ran forever and the only reason to part with them was, when corrosion had eaten away the better part of their bodies. Then they were either sold for parts or ended up as taxi in the Middle East, providing economical transportation for millions of people for years to come. Countless Middle East and North-African families depended on the car as their sole income, because as taxi it did not ask for much, just diesel and an occasional change of oil. Even the latter was rarely granted. But we are running with our story ahead of time. 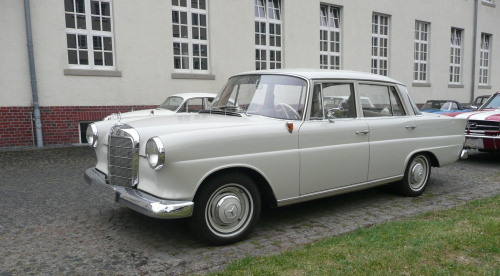 When the first fintail model was launched in 1959 in form of the six-cylinder 220S and SE, Daimler-Benz management had decided that a whole new generation of cars would be based on the new uni-body concept. 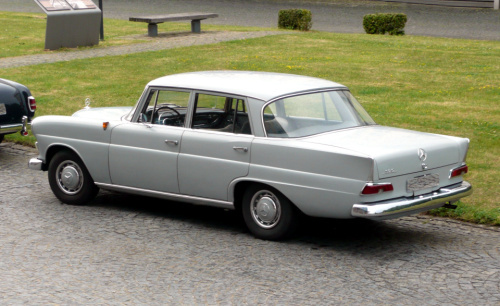 Two years later the next models followed in form of the four-cylinder 190 and the venerable 300SE. Not all Mercedes Benz owners liked such a concept though. And the expensive 300SE with air-suspension was living proof of it. Despite its undeniable qualities very few customers opted for it. 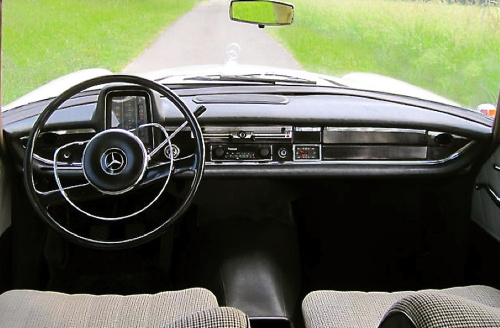 As they all shared the same platform, the new internally called W110 Mercedes 190 was now a fairly large automobiles. 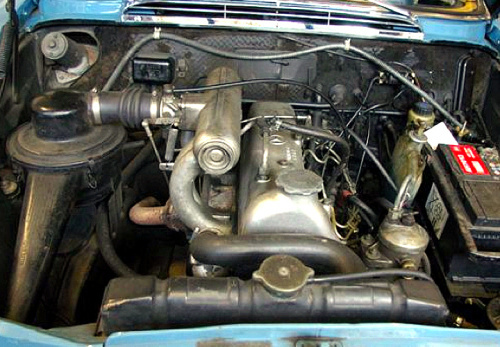 One of the few differences to its more expensive siblings was the shorter front, as the four-cylinder engines were smaller than their six-cylinder counterparts. 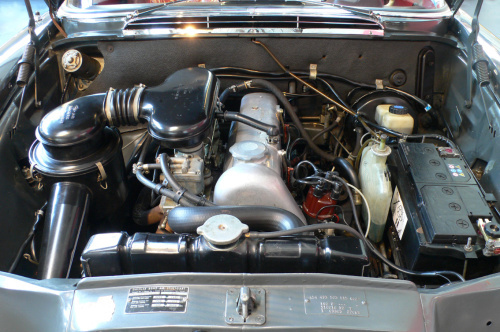 Six-cylinder ponton car owners had already complained in the 1950s that the four-cylinder versions would look too similar to their vehicles. That is why Daimler-Benz had altered the front of the new cars and had adopted single round headlamps instead of the vertical ones. They also incorporated the same small turn lights on both sides of the fenders plus the bumpers, they had used already on the ponton models. The rear of the car was with its smaller taillights identical to the 220b, wich served as entry ticket to Mercedes six-cylinder heaven. Aside from the styling discussions the press loved the agility and road holding capabilities of the new Mercedes 190. 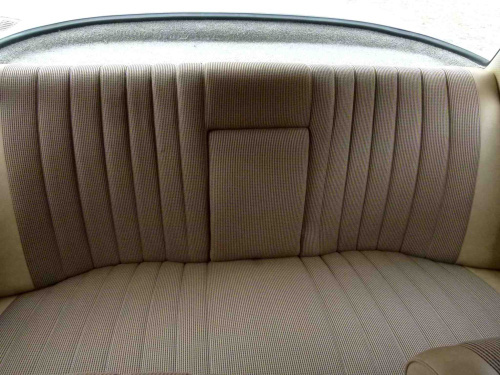 Customers appreciated the space of the passenger compartment and the size of the trunk. And combined with a durable and economical diesel engine, taxi drivers in many parts of the world used the fintail for the next two decades. 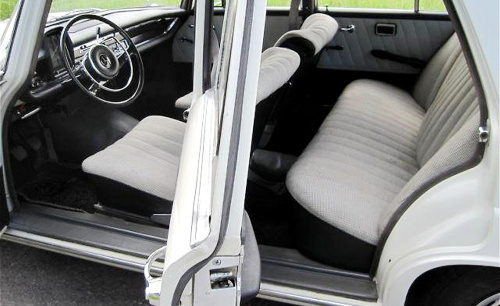 One of the benefits of the uni-body concept was that the cheaper cars could enjoy all the important safety features, the 220 series was applauded for. Throughout its life the car received a few minor improvements. In summer of 1962 a new four-speed automatic transmission became available. And in 1965 a slightly revised body with a new name was born. The time had finally come for Daimler-Benz to do away with the uni-body concept and offer two distinctly different models. 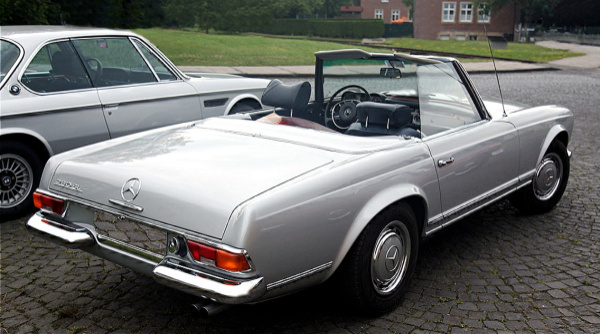 The six-cylinder fintails were replaced by the more modern looking 250 series, internally called W108 (although the W111 lived on in form of the 230S till 1968). And the Mercedes 190 soldered on successfully for another three years as 200 and 200D in mildly upgraded clothes. The front indicators moved from the upper fender position below the headlights. In Europe they also incorporated small fog lights. For the North American market those fog lights were not available. The fins at the rear did not have the chrome cover anymore, instead they had chrome strips below the trunk lid and rear lights, The rear indicators were now in amber color in all markets except the US. More upgrades had occurred under the hood. When new in 1961, little work was required for the fairly modern petrol engine. More was invested at that time to improve the diesel. This time it was the other way around. Both engines received five crankshaft bearings instead of previously three, which made them run quieter, something the diesel needed more than the petrol engine. As the petrol engine’s cylinder bore was increased, displacement had grown now to two liters (122 cu in). Consequently the power output increased from 85 hp to now 95. The diesel remained at 55 hp. An interesting introduction to the line was the six-cylinder 230, which was supposed to fill the role of the abandoned entry level 220b. With its 105 hp and two downdraft carburetors it was a fast car, but it quickly became known as a gasoline guzzler. 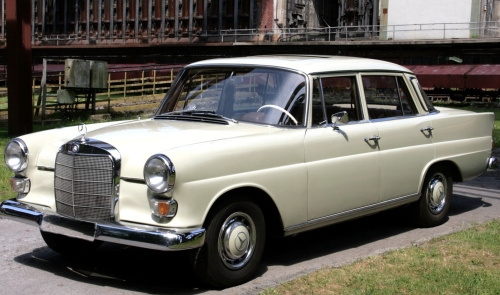 Daimler-Benz decided in 1966 to replace the engine with the 120 hp power plant of the more expensive 230S. 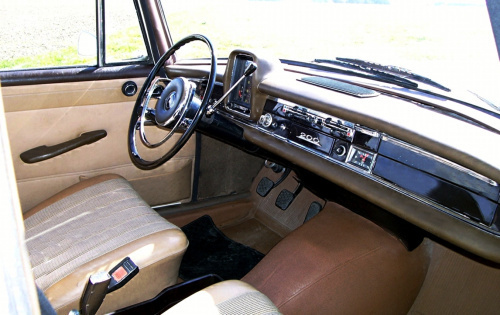 Compared with the six-cylinder 250 series, the W110 body looked now slightly dated, but the sales, largely fueled by the diesel, did not suffer. Mercedes customers have never been known to chase the latest design offers, they were after quality and reliability. 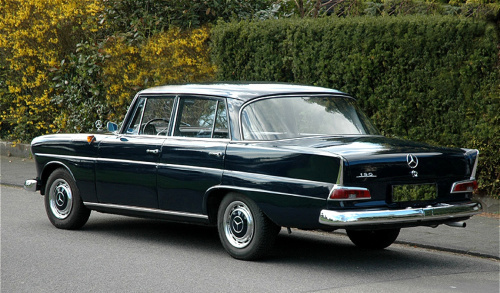 Some 70,000 people opted for the petrol version of the 200 from mid 1965 to early 1968. As already seen with the 190c model, the diesel was again more popular, as around 162,000 customers preferred this model. Also the first six-cylinder in a small Mercedes proved to be quite popular, as around 40,200 units of the 230 could be sold. 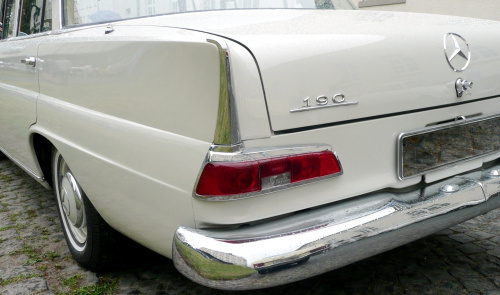 All W110 versions combined managed to find 628,282 buyers from 1961 to 1968. This way the small fintail accomplished to become the most successful Mercedes in the first twenty-five years after the war. 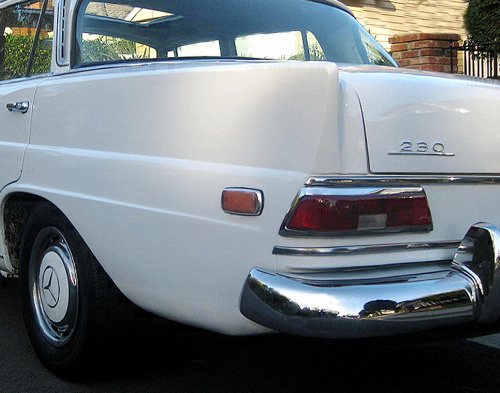 If you want to read much more about the Mercedes 190 and other Mercedes models of the 1960s, all of that is covered in my books and e-books and can be ordered from my website. They offer next to the cars’ history the experience to own or drive one of these great vehicles and have plenty of non-Daimler-Benz color pictures, most of which have never been published in a book before. I am sure you will enjoy. Hi, how can i find chrome fittings for my 190c . Chrome below the windows ,front and hind screen?? I just purchased a 1967 200D automtic with a defective transmission, I am in California, any ideas where I can get that part? I am thinking used is probably cheaper than getting it repaired. that’s a nice car. Unfortunately I can’t be of much help as I live in Germany. A used one is as you said generally cheaper than having yours repaired. The only problem is, ideally it still should be installed in a car so that you can test it for its functionality. One idea is to join a local Mercedes club, their members have usually a pretty good idea how to help and get reliable spares. Hi , my name is Kevin, I am the owner of a 190c mercedes . It it Australian made and rusted to hell.Are there any shell available or, where can i find spare body parts.